This mini-retreat consisting of four classes (approx 2 hrs each) will serve as a great introduction to the Dharma and the art and heart of Buddhist meditation. The Heart Sutra is a short summary of a great classic Mahayana teaching, studied and practiced, by thousands of people, many who have attained great realizations. This teaching points directly to the nature of Emptiness: the essence of all experience, all Dharma, all things, of full Awakeness, of compassion and the essence of most meditations. It is a pithy and poetic meditation text and opens the door to a vast View of freedom and compassion. 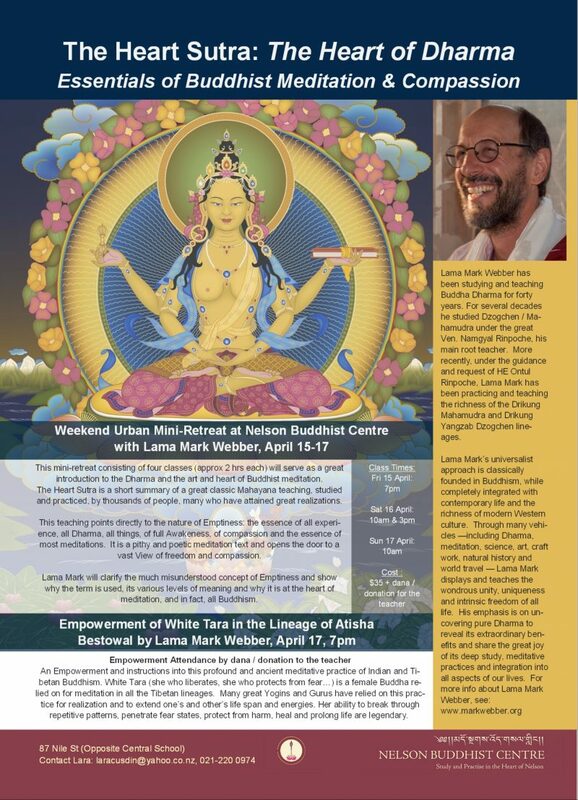 Lama Mark will clarify the much misunderstood concept of Emptiness and show why the term is used, its various levels of meaning and why it is at the heart of meditation, and in fact, all Buddhism. An Empowerment and instructions into this profound and ancient meditative practice of Indian and Tibetan Buddhism. 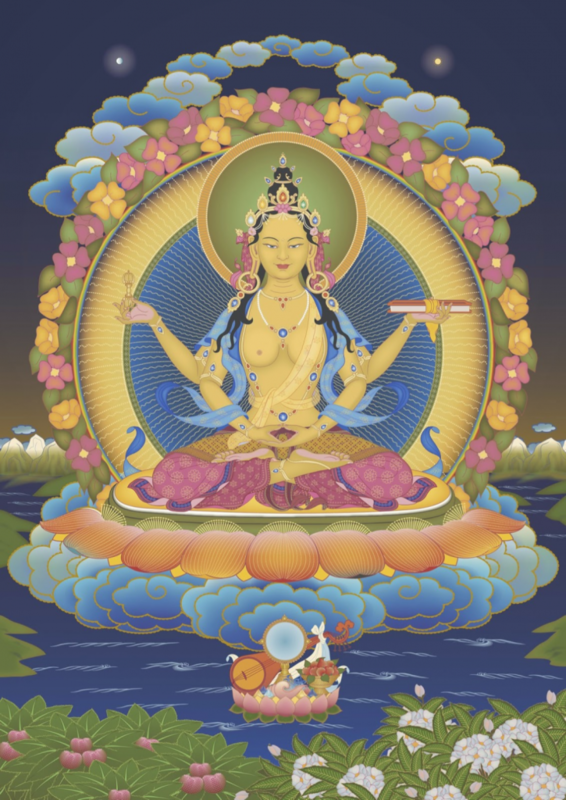 White Tara (she who liberates, she who protects from fear…) is a female Buddha relied on for meditation in all the Tibetan lineages. Many great Yogins and Gurus have relied on this practice for realization and to extend one’s and other’s life span and energies. Her ability to break through repetitive patterns, penetrate fear states, protect from harm, heal and prolong life are legendary.